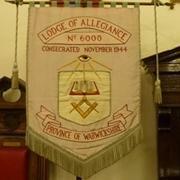 Our Worshipful Master welcomes you to The Lodge of Allegiance website. Please look at our News & Updates and Events pages for the very latest information on Lodge of Allegiance. If you enjoyed any of our events we would appreciate your comments by signing our Guest Book. Please note: We cannot guarantee that any link or feed from this site has been approved by the United Grand Lodge of England or the Provincial Grand Lodge of Warwickshire. Neither can we guarantee that any subsequent link from their pages are recognized by, or have the approval of the United Grand Lodge of England or the Provincial Grand Lodge of Warwickshire.